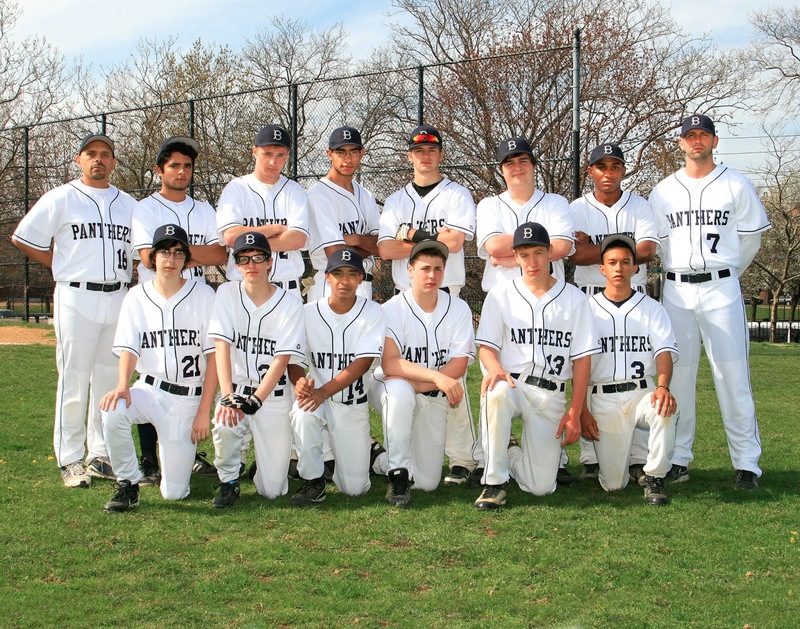 A Season of Change: The 2013 BFS varsity baseball team took on a new look to start the season. The season began with a relatively young team that consisted of only three senior starters. The team’s inexperience showed early on in the season, as they stumbled out of the blocks to a 1-4 record. However, the team turned it around and won their next four in a row, a streak that began in game six with a walk-off win against LREI. Next up was a win over Evangel Christian HS, a dramatic win over Martin Luther where the team was forced to play with eight players and a forfeit win over Kew Forest. With the four straight, the Panthers pulled their record to over .500 at 5-4. The final five games of the regular season saw the team go 3-2, with wins over Friends Seminary, York Prep and Lawrence Woodmere Academy, and losses to UNIS and Churchill to finish with a final regular season record of 8-6 and a PSAA conference record of 6-4. The 6-4 was good enough for a fifth place finish and PSAA playoff birth. The playoffs saw a rematch with UNIS who had defeated the Panthers 8-0 in the regular season. The game was well played and after falling behind 3-1 at the end of the fourth inning, the team rallied back with a run in the fifth and one in the sixth to tie the game at 3-3. In the bottom of the 6th inning UNIS battled back with two runs of their own to take a 5-3 lead. That score held up and ended the Panthers season. As the head coach I could not be more proud of the team as they worked extremely hard all season. They started the year as Individuals; two freshmen, four sophomores, two juniors and four seniors… They ended the season as a team! As a coach, nothing is more gratifying. I look forward to next season and the challenge that lies ahead as the 2013 senior leadership graduates moves on and a new young and eager group of players join the team. 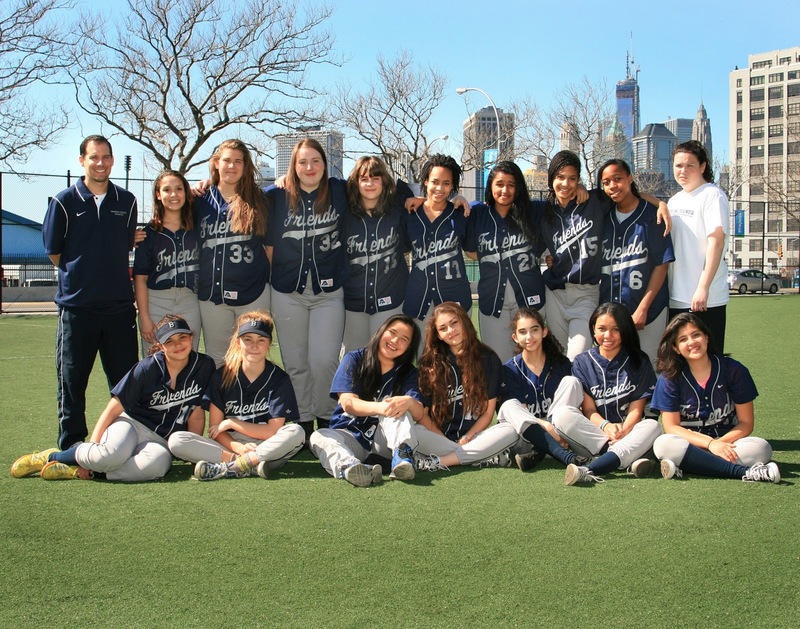 The Varsity Girls softball team had an unbelievable season this year. After a slow start, this team was able to turn things around quickly and developed their skills to become a very competitive team throughout the season. Being a team full of underclassmen they have a bright future ahead of them. This year’s team was comprised of six juniors, ten sophomores, and five freshmen. Everyone on the team contributed and played a vital role in the team’s success this year. As the season progressed our team got better and better. We lost our first two games, then won two, then lost two more, before going on a five game winning streak (including three straight walk off victories) leading up to the playoffs. We won our league semifinal game and lost a close one in the championship game. The juniors led the way. Julia G. played wherever the coach needed her on that day in the field, including some great appearances on the mound. On offense she finished with a team high 22 hits good for a .786 batting average. She led the team with six doubles, five home runs, and 22 RBIs. Julia was on deck and would have been up with runners in scoring position during the final game for BFS if the team was able to get one more runner to reach base. Chloe B. played a great first base all season and picked up eleven hits, good for a .550 batting average. Sarah M. and Sophie A. came on strong. They both played more as the a season went on and continually progressed. Sarah made some very nice catches and plays in the outfield and Sophie stepped up and played some key moments at second base. Sarah finished with a batting average of .780, while Sophie finished with an impressive .539 average. Anna E. played well behind the plate and had some key at bats throughout the season. Jillian F. was able reach base 33% of the time while playing solid defense in the outfield. Our ten sophomores were great as well. Julia B., Julia C., Daisy F., Sarah F., Arial G., Kariesha M., Sage M., Airenakhue O., Maret S-M, and Christeline all came up big at numerous points during the season. Julia B. played in a team high twelve games and led the team with 40 at bats, including 15 hits, 7 walks, 16 runs scored, and 10 RBIs. Julia C. was our heart and soul during this great season. Airenakhue was much improved and helped out on and off the field. She reached base eleven out of twenty three at bats and did a good job behind the plate for us. Ariel brought the energy and desire to play to the each and every game. Sarah F. had some big moments for us. Daisy and Kariesha got better as the season went along. Sage had some great catches in the outfield and a couple very important at bats and hits late in the season. Christeline was much improved and had some key walks to start off some very important innings for BFS as they found a way to win. Maret played a solid second base and did a great job leading off for our team picking up a team high twelve walks (tied with Naya C.). The freshmen were also key members on our second place team. Taty R. led the way as she came up from our middle school program and became our ace pitcher. She threw strikes, which is the most important thing when pitching, and fielded her position extremely well. Taty batted most of the season out of the number two spot where she picked up fourteen hits and seven walks in 36 at bats. She led the team with nineteen runs scored. Naya did a great job filling in both in the outfield and infield and had some key at bats during the season. She was tied for the team lead with twelve walks. Cecilia E., Sarah G., and Sofia R. were also very nice additions to our team. We hope to make it back to the championship game next year, which would mean three years in a row. Through continued hard work and dedication this young team will with out a doubt have great success in the future. This team full of young talent has a bright future ahead of them. Our time is now. We all look forward to more excitement out on the diamond. Blue Pride Runs Deep, Friends Forever!! 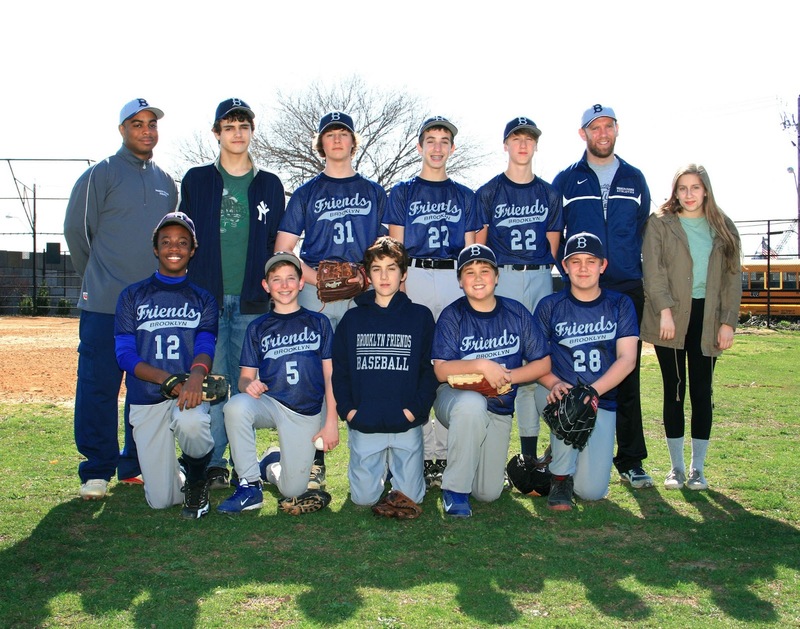 The 2013 Middle School Baseball team started in March with just eleven players, and were able to complete another competitive season. This season started on a good note with a victory against Avenues on Randall’s Island. The team would defeat Avenues again in their second meeting, in addition to sweeping the home and home series against Berkeley Carroll. BFS came up short in exciting battles against Bay Ridge Prep, Staten Island Academy, and Packer. This season saw the emergence of returning players as leaders. Miles N. led the BFS offense. The lefty’s ability to hit to the opposite field led to many on-base opportunities. Once on the bases, Miles’ speed caused more problems for opposing defenses. Right by his side was Emmitt S. who stepped from his normal shortstop position to be the ace of the pitching staff. Emmitt’s patience at the plate led to many walks, and his aggressive base running led to many scoring opportunities. Jackson W. contributed on the mound, improving tremendously in his ability as his confidence grew throughout the season. Rocco B. held it down behind home plate, stopping every ball that came his way, as Noah R. Made the midseason transition to third base look easy with his smart play. Alex B. provided some much needed pop for the BFS offense while splitting catcher and outfield duties. Julian S. did an excellent job at second, as did Sam G., Nick W., Ben B., and Isaac H. at their respective positions. For the second straight year the middle schoolers missed an opportunity to play at MCU Park, this time due to damage from Hurricane Sandy. As always, the student-athletes represented BFS in an exemplary manner, while always having fun and learning the game of baseball. 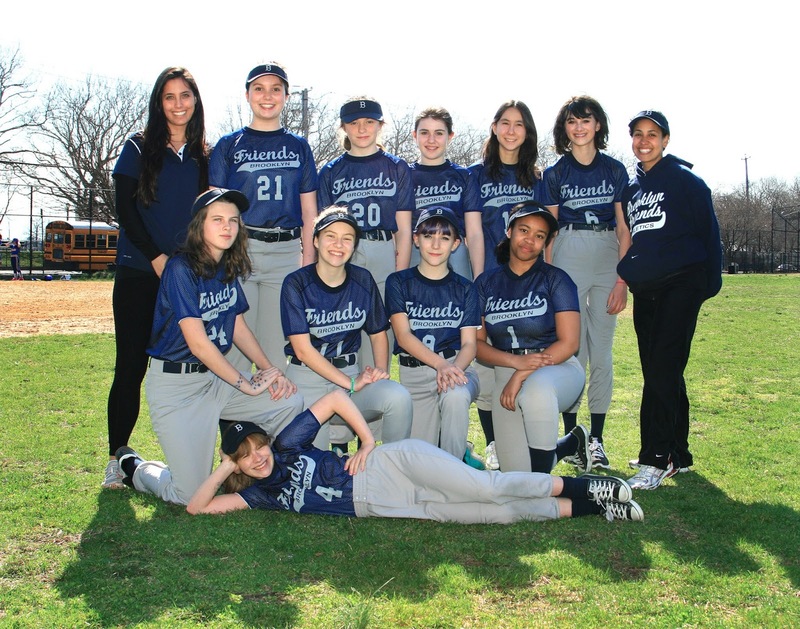 The Middle Girls Softball Team had a productive, learning and all around positive experience. Starting the season with 13 girls and finishing with nine was tough at times, although very rewarding because each one of the girls had an opportunity to lean and play at each position. Between practices and games the MS Girls softball team showed up willing to learn, play and enjoy the sport, while improving their understanding of Softball. A few players that stand out the most would have to be Fiona, Nia, Sophie, Lucy, and Hildi. Their level of commitment, hard work and ability to be team players helped and impacted the team when we needed it most. The girls’ last game to finish off the season turned out well because of the energy they brought and passion of excitement to play regardless of the score and how it ended. We look forward to working with these ladies in the future. 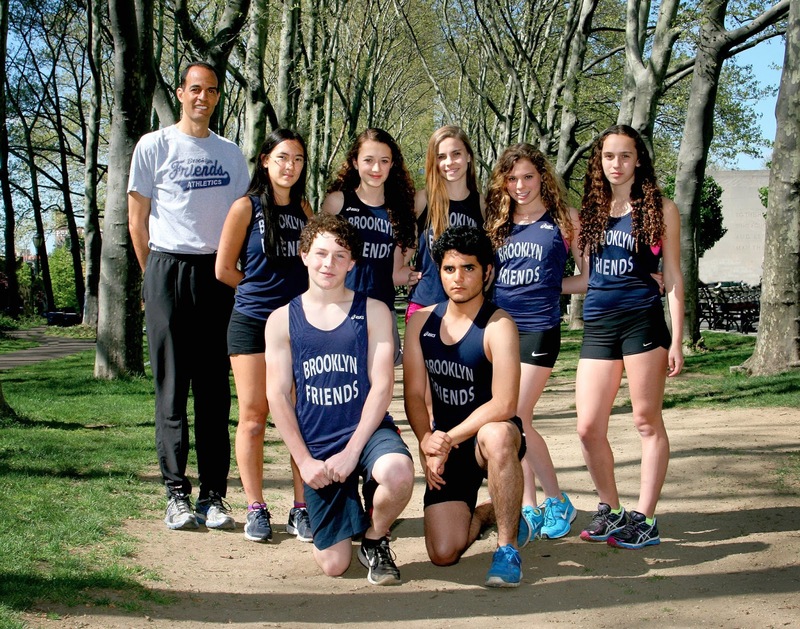 The Brooklyn Friends track team completed a fine 2013 season. The runners demonstrated a great commitment to the team through their dedication to their workouts and races. The experiences was rewarding for all the team members. It is difficult to measure the success of the track team through wins and losses. One victory, however, illustrates the growth and maturity of the women’s team. The small number of participants on the track team has made it hard to field a four person mile relay team over the years. The 2013 track team finally fielded a team and the experience left an indelible impacted on the entire group. Elinor H. was instrumental in selling the idea of running a relay to her teammates. Most of the other runners were unaware of the thrill experienced in carry the baton around the track. The responsibility to run well and not leave your teammate in no man’s land with a bad leg can be daunting. On the other hand, the knowledge that your teammates have your back and every leg counts is exhilarating. Elinor knew the relay brings the best out of everyone and she convinced her teammates to go for it for the first time in years at an ISAL meet this spring. Each runner ran at a new level as they not only ran for themselves but also for each other. Elinor’s desire to get the team off to a good start shot her out the blocks and to a commanding lead on her first leg. A desire not to squander Elinor’s fine effort sent Maya K. off to the best run of her life. Maya did not even want to run the race but she did not want to deny the others a chance to race the relay. Maya, therefore, cast her fears a side for the team and ran a brilliant second leg. Giovanna M. ran her typically steady race as she received the baton in second place. Patience and maturity allowed her to not work to close the gap in front of her immediately but to measure her pace over the entire 400M race distance. Sure enough, Giovanna regained the lead for BFS in the last 100M of the race. Mali A. never looked back and sealed the victory in a furious anchor leg which acknowledged the work of her teammates who ran before her. This race illustrates the dedication, resolve and fun the young women on the team experienced this season. Their friendships deepened. Their confidence grew. They now feel they can achieve whatever they set their sights. The two boys on the team, Jose U. and Jacob I. had equally exciting seasons. Jacob tested himself in the grueling two one mile and two mile races. He ran times he formerly thought impossible. Jose focused on the 400M and found his voice in this race. The gentlemen did not have a relay team but they discovered themselves through their individual races. 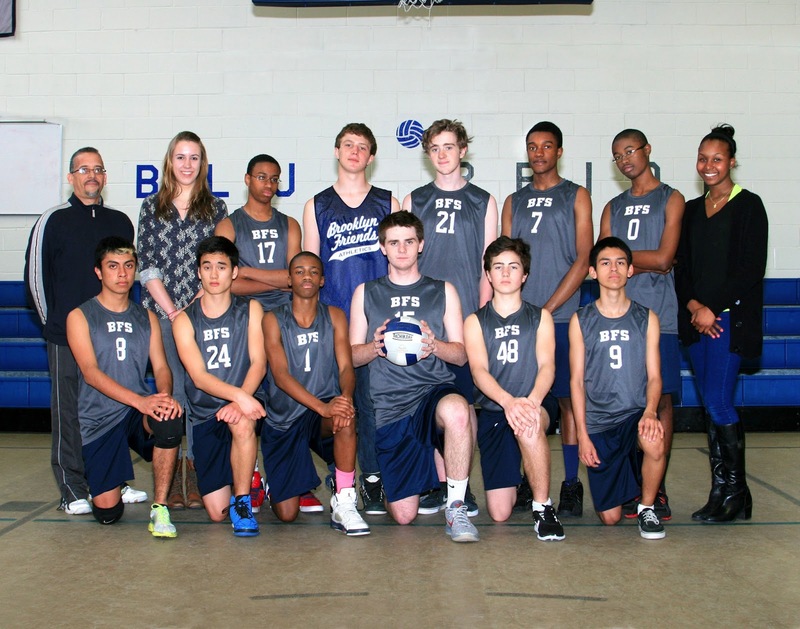 The Boys Volleyball varsity team had a very successful year not only winning wise, but identity wise. We established ourselves as a legitimate varsity program, competing against all of our opponents, and representing the school with great pride. All of our athletes understood what it takes to be successful in this sport. We learned that mistakes and losses are as important as points and wins, when it relates to growth and development. During the month of April, the team showed some inexperience and hesitation during play, resulting on some struggling performances. We finished the month with a 5-3 record, for a total of 17-10 set differential. Those wins and loses during the month of April served as a great learning experience for our young team, to help us have an undefeated month of May, finishing with a 5-0 record. The most impressive part was that we didn’t drop a single set to finish with a perfect 14-0 run to complete the season. The team completed the season with a 10-3 overall record. As the season progressed, the team grew stronger from game to game. It was a total team effort, led offensively by Thomas, who at times looked unstoppable. Griffin, our main setter, did a great job leading the transition and serving as a strong voice on the team. Our seniors, Alex, Nick, Sebastian, and Sam did a great job, playing consistently and contributing on both the defensive and offensive ends of the net. Lucas provided great offensive balanced, playing opposite Thomas and contributing both offensively and defensively. Our new, young team members Quran, Tyler, Kamal, and Juan learned very quickly, and provided great help both defensively and with their consistent serves. The future looks bright for our young program. It was a rewarding experience for all coaches, players, and managers. We look forward to adding a few players next year, and competing for a spot in the league playoffs… BLUE PRIDE!